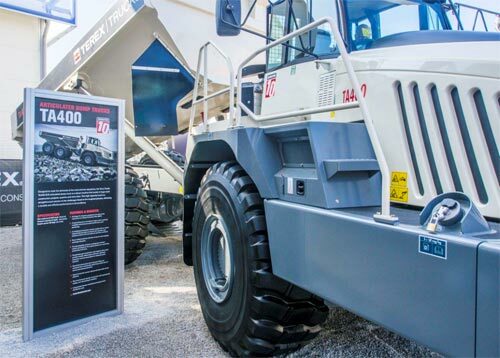 UK-based Terex Trucks enjoyed its first bauma construction equipment show since Volvo CE acquisition, last month (11 to 17 April). The company used this event to launch the new, EU Stage IV compliant, 38 tonne capacity TA400 Gen10 articulated dump truck, the largest in its articulated range, as well as showcasing improved customer support and service excellence. 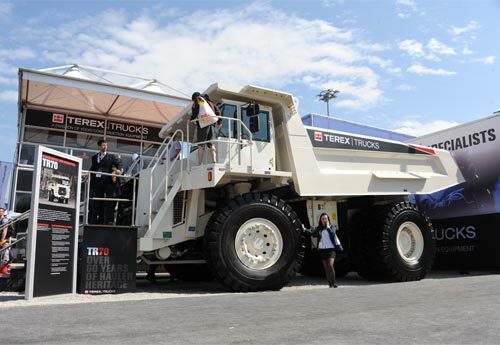 Alongside this Terex Trucks’ showcased a range of Factory-Approved parts and the 65 tonne capacity TR70 rigid hauler. But bauma wasn’t just about the new TA400, added Douglas. “Visitors to the Terex Trucks’ exhibition area also got a chance to see how we’ve been focusing on and are investing in our customer solutions, including improved customer support packages, and greater spare parts availability – both essential ingredients for maximising machine uptime. “Visitors,” said Douglas, “were also impressed by the considerable investment we’ve made in product improvements to both our rigid and articulated dump trucks, as well as in the dealer network, all of which is helping to ensure we’re well positioned when demand returns to the mining, quarrying and major infrastructure segments. Underpinning that investment Jean-Marie Osdoit – President and CEO of Volvo CE France, and Terex Trucks’ Paul Douglas officially signed an agreement that sees the two companies join their resources in order to revitalise sales and service of Terex Trucks’ ADTs and RDTs in France. Under the agreement, the articulated trucks will be managed directly by the Terex Trucks team, while the rigid dump trucks will be promoted by the Volvo CE sales team based in France. However, Volvo CE will service both the ADT and RDT trucks from five ‘Terex Trucks Service Centres’, which are opening across France during the course of this year. And the coming months will also see some exciting developments in the company’s product range, explained Douglas, with the 28 tonne capacity ‘Gen10’ TA300 following the TA400 into production within the next couple of months, and the 25 tonne TA250 following later in the year. “We also have plans to expand our distribution in Germany and across the EMEA region,” said Douglas. “By the end of 2016 we’ll be in a very strong position, with an experienced, customer focussed dealer network that’s committed to selling and supporting our products, now and in the future”.